Almonds are one of the most healthy nuts available. This versatile, tasty nut is loaded with nutritional benefits. 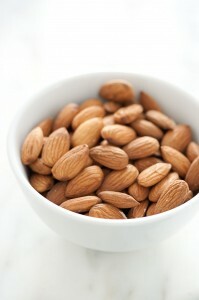 You can enjoy them raw as a snack or prepared into a dish, but either way you’ll get a full serving of almond nutrition! After we cover several reasons why almonds are a fantastic food, we’ll present several suggestions for getting a daily almond boost! Aside from tasting great and the unique crunch, almonds pack a nutritional boost rarely matched in other foods. From heart health to managing body weight, almonds can do it all! Below are the top reasons to include almonds in your diet. Healthy Fats – Almonds have high levels of unsaturated fatty acids. Plus, almonds contain a lot of fiber, phytosterols, vitamins, and antioxidants that are great for preventing cardiovascular heart diseases. Heart Healthy – “Almonds used as snacks in the diets of hyperlipidemic subjects significantly reduce coronary heart disease risk factors.” This statement is according to a study published in the journal Circulation which looked at the effect of almonds on coronary heart disease risk factors. The research concluded that to get enough vitamin E, simply eating a handful of almonds a day is all your body needs. Weight Management – For those looking to lose weight, almonds can aid in the process! The International Journal of Obesity and Related Metabolic Disorders published a study that found a low calorie, almond-enriched diet helped overweight subjects lose weight more effectively than a low calorie diet high in complex carbohydrates. Almonds are a perfect food choice for a wide variety of health reasons. 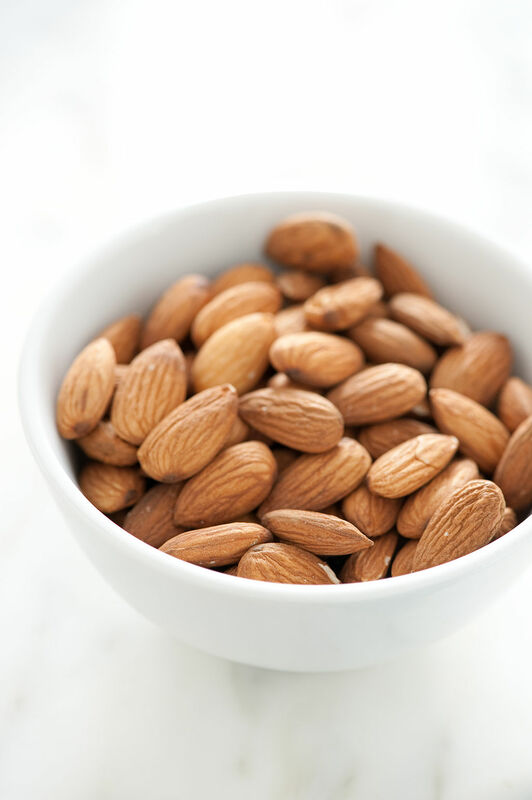 Here are a few easy ways to add more almonds into your diet. Salads – Top your favorite salad with some chopped almonds! Almond Butter – Mix some almond butter into your breakfast shake or spread it onto your toast. You’ll get the nutritional benefit of almonds while changing up your daily routine. Crust – Recipes abound online for how to use chopped almonds as a crunchy coating for fish or chicken. Right Out of the Package! – This is the easiest since there is no prep work needed. Grab a package of almonds from the local market and grab a handful! Keep your eye out for more easy, simple ways to get extra almond nutrition into your daily life. You’ll boost antioxidants, help your heart and get plenty of healthy fats. It’s as simple as a handful a day!